Performance-pricing for on-street parking is part of Donald Shoup's set of parking policy suggestions. It is getting a lot of attention lately, especially as the SFPark trial of such pricing gathers momentum in San Francisco and the smaller ParkSmart trial continues in New York City. However, I think there is more to Shoup's agenda than most people seem to realise. Another key thrust is his call to abandon minimum parking requirements. This points towards a market-based approach to parking supply. This has more profound implications than most commentators have noticed and I argued as much at Reinventing Urban Transport in early June 2010. The original post was titled: Shoup's parking agenda is more profound than you think. Here is an updated and improved version of the first part of that June post. Donald Shoup's 'The High Cost of Free Parking' points towards a profoundly different way of thinking about parking policy. It offers much more than just a nifty way to price on-street parking efficiently. Yet, in real-world policy debates over Shoup's parking ideas most people seem to focus mainly on his call to price kerbside parking for 85% occupancy. I am certainly a big fan of such performance-based parking pricing. But Shoup's agenda is even more interesting than that. First, a recap on Shoup's parking reform ideas. He is focused on cities that currently have a conventional suburban-style parking policy, with cheap on-street parking and every building required to have plentiful parking. He is based in Los Angeles and his focus is on American cities. His ideas are also obviously relevant to places like suburban Canada, Australia and New Zealand which have adopted the same parking approach. In fact, I am finding that conventional autocentric parking policy has infected many other countries too. So Shoup's critique, and his solutions, are probably relevant to places as diverse as India, Malaysia, the Gulf States, the Philipppines, and many more. Eliminate off-street parking requirements, and allow developers to provide only as much parking as they think right. Item 1 has been getting a lot of attention with trials in Redwood City in the Bay Area, New York City, San Francisco, Washington DC and most recently, Los Angeles. Item 2 is usually there in these debates but seems to get lost in some of the trials (or most of them!?). Item 3, eliminating the off-street parking requirements, gets lip service and not much more. Or it may be missing altogether, as in Los Angeles with its ExpressPark initiative. Yet, this aspect was a huge proportion of Shoup's book. He was taking aim squarely at suburban parking requirements! Shoup's on-street parking reforms are probably good in themselves. But just as important is that they are ALSO a way to help us relax about requiring off-street parking. This was a key reason he included performance-pricing in his package. Prof Shoup's on-street and off-street policies are linked and his reform agenda points toward a transformation that is more profound than just getting efficient parking in the streets. What is this profound change? I would call it a market-oriented parking system. This has been noted before by various people (such as here and here). But somehow, it is consistently downplayed in most planning and transport discussions of Shoup's ideas. Could this be because market-oriented parking seems too right wing? Maybe that is an issue. But market-oriented parking should have appeal beyond the right. These days, a wide cross-section of the political spectrum agrees that many (or most) goods are best provided by competitive markets. I don't see it as right wing to ask if parking is one of them. By the way, in case you are wondering, I am certainly not a right winger. And I see no inconsistency between sympathy to market-oriented parking policy and being a strong supporter of public-sector planning and control of public transport. The evidence points in different directions in the two cases. 'Since [on-street] prices will vary to maintain a few curb vacancies, spillover will no longer be a problem. Individual property owners and merchants can then choose how much on-site parking to provide based on business considerations, not zoning. Some may choose to provide their own off-street spaces, while others may offer to validate parking in nearby garages. Regardless of the strategy, all firms will be able to decide for themselves whether parking is worth its costs. Parking will increasingly become unbundled from other transactions, and professional operators will manage more of the parking supply.' (Shoup, 2005, p. 496). 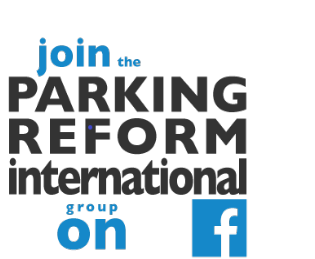 Interestingly, some of the blogosphere exchanges provoked by Tyler Cowen's recent column revealed odd juxtapositions of ideological perspectives with views on parking reform. Several commentators have been puzzled to see certain libertarians supporting an onerous regulation like minimum parking requirements (although the Market Urbanist is an exception). Others find it odd to see left-of-centre/green liveable streets advocates (like me for example!) calling for a deregulation and market-oriented approach. What do you think? Does Shoup really point towards market-oriented parking policy and does it sound promising to you? Do you have to be a neoliberal or libertarian to support it? What about lender requirements to provide certain levels of parking as a condition of financing construction? Should these be banned (or constrained) as contrary to public policy? @EngineerScotty: Yes, lender requirements seem to be an important issue in North America. They have stymied TODs in various places I hear. I don't have an answer to that one yet. But it is certainly an important issue for this blog to tackle! 85% vacant spots OR 15% vacant. Which is it? Thanks for pointing out the error. Should be 85% occupancy (so 15% vacant).